When Adobe decided to transition from the traditional software model to a cloud-based SaaS (Software as a Service) subscription model in 2013, the move was seen as incredibly risky and was not initially well-received. A petition demanding the company bring back its packaged Creative Suite software garnered over 50,000 signatures, and revenue decreased by 8%. As attitudes toward cloud-based solutions started to change, the tide quickly turned and Creative Cloud subscriptions started to surge. By 2017, it’s estimated that 12 million people had subscribed to Adobe’s Creative Cloud services. Considering Adobe is now valued at over $120 billion, adopting a new business model and breaking away from traditional software offerings was a critical move that allowed the company to continue on the path to massive growth. One of the biggest hurdles preventing SaaS and other subscription-based businesses from scaling is failing to shed traditional, manual billing processes. A lot of these businesses will start out using manual processes to handle their recurring billing needs and may not always face immediate issues. Once their customer base starts to increase, they outgrow traditional billing systems. Invoicing, collecting payments, and accurately recognizing revenue soon becomes incredibly difficult to do manually without errors. This is especially true when businesses offer a variety of different pricing and subscription options. It’s at this point that a comprehensive subscription management and recurring billing platform becomes a necessity. 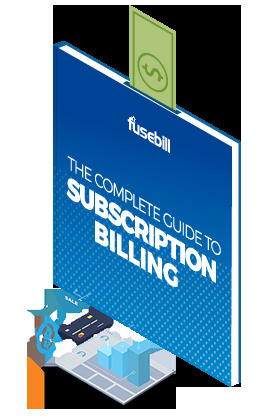 At Fusebill, the team interacts with businesses of all sizes that use manual recurring billing processes. Some earn more than $5 million in revenue and have over 200 clients that they are billing manually. We spoke to our account executives and recurring billing experts, Brett Jones and Kyle Booysen, to find out more about the problems these companies face. According to them, regardless of which category your organization falls into, all companies using the subscription billing model are bound to experience the same problems with manual billing as they scale. For businesses seeking out automated recurring billing software solutions, revenue recovery is often a high priority. And for good reason. Customer churn is one of the biggest concerns for any subscription-based business and can often occur without the customer’s intending to churn. This is called passive or involuntary churn, which happens when a client inadvertently ends the customer relationship due to payment failures, lack of communication or changes in customer data. Passive churn can account for as much as 10 to 20 percent of recurring transactions, leading to revenue leakage. Switching to an automated recurring billing platform with dunning management capabilities can help to prevent revenue leakage. In some cases, the amount of revenue recovered through dunning management processes can add up to hundreds of thousands of dollars. An automated recurring billing platform will automatically retry credit cards and other payment methods when they fail. According to some estimates, 75% of failed credit cards will succeed when they are retried. Here is an example of the revenue recovered by Fusebill's dunning management process for one of our clients. The platform will also send out automated invoices and emails to customers letting them know of a failed payment, expired credit card, pending subscription renewal, overdue payment, etc. Automating communication between your business and customer base means less time is spent chasing late payments and worrying about leaking revenue. A steady flow of customized communication will help improve the overall customer experience, making customers less likely to voluntarily churn out and take their business to a competitor. Another great feature that adds to the customer experience is a self-service portal. This portal enables customers to change their own settings and preferences, check their invoices and make payments. Your business may allow customers to pause their subscription plan for a period of time. Without a flexible self-service portal, anytime a customer went on vacation and wanted to put her subscription on hold, she’d have to personally reach out and notify your business. You would then have to manually make this change in the customer’s account and forward the information on to your accounting team. Accounting would then have to manually update her invoice. When your customer returned from vacation, the whole process would have to be reversed. In the worst-case scenario, if the subscription wasn't turned back on, she could potentially churn out. The self-service portal outsources these changes to your customers and automatically updates invoices and reports. Giving customers this kind of control and flexibility can vastly improve customer retention and ensure that your subscribers remain loyal customers. As you begin to scale, it’s important to be proactive when it comes to tracking customer data and subscription history, so you get a clear picture of your business’s strengths and weaknesses. However, when all your customer and subscription information is contained in endless spreadsheets, you don’t get to see the nitty-gritty details that can help you derive valuable business insights. Switching to a recurring billing and subscription management platform that has advanced reporting capabilities will allow you access to important reports and subscription analytics. In particular, you gain insights into these four reporting pillars: Sales, Cash, Revenue, and MRR (Monthly Recurring Revenue). The data contained in these reports can be segmented and analyzed in several different ways. Taking advantage of this option will give you a thorough overview of what is going on behind the scenes so you can determine the overall health of your organization. The manual method of subscription billing is not an efficient process. It often requires your billing team to sort through Excel spreadsheets to look up every customer, determine the correct subscription plan, and bill out accordingly on a recurring basis. For businesses that offer multiple subscription plans and pricing options, this process is only further complicated. As your customer base grows and you start billing out an increasing number of invoices, the manual billing process becomes incredibly tedious, time consuming, and unmanageable. For some companies using this method, monthly invoicing can take up to a week or more to complete. An agile subscription billing platform, on the other hand, will automate the process, greatly reducing the time you must spend sending out invoices and collecting payments on a recurring basis. For instream, automated billing drastically cut down on time spent on registration and invoicing, reducing their effort by 80%. In the subscription world, revenue recognition is a particularly crucial accounting principle. The reason for this is that SaaS and other subscription-based businesses must differentiate between deferred revenue and earned revenue and ensure they’re in compliance with the new GAAP (Generally Accepted Accounting Principle) standard, ASC 606. This means businesses that offer subscription plans can only recognize revenue as the customer receives the value of the goods or services they paid for. Let’s say your SaaS company offers $50 monthly subscriptions for access to a cloud-based graphic design solution. For every customer that has purchased a subscription, your business cannot recognize that $50 as revenue until the end of that 30-day period. Instead, you can immediately recognize $1.66 on the first day of the subscription period. Every subsequent day throughout the month, you can continue recognizing $1.66. If your finance team is using spreadsheets to track how much revenue is being recognized, errors are bound to happen. The risk is elevated even further when you have a lot of customers with various subscriptions and changes are made to their plans mid-term. Now, let's say you have 4 customers cancel their subscriptions. That same month, 7 other customers upgrade their plans while 3 have decided to downgrade to a lesser plan. Without a system that automates revenue recognition, spreadsheets and calculations will start getting out of control and filled with inaccuracies. 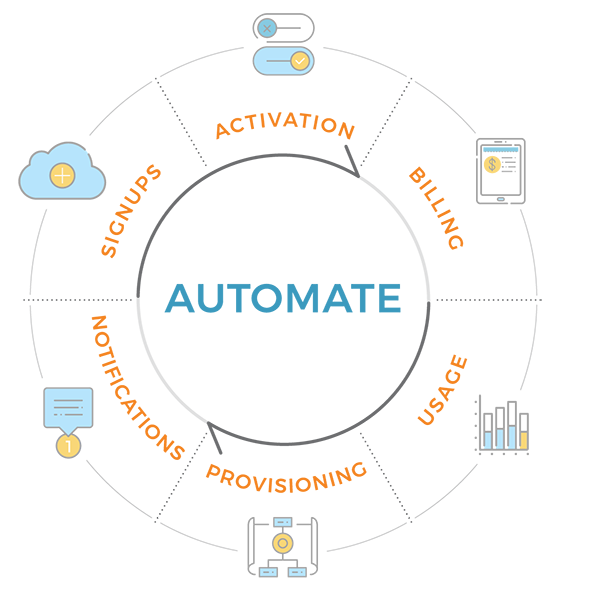 With a recurring billing platform, revenue recognition is all handled automatically and without errors. Regardless of industry, the priority for most entrepreneurs is to grow their business. The way to get there is to eliminate the roadblocks on your path. From churn to revenue leakage and tedious manual processes, these recurring billing challenges are all related and will hinder growth if not corrected. A platform designed to handle complex recurring billing and subscription management resolves these issues by streamlining and automating your billing and invoicing process, providing access to key subscription reports and metrics, dunning emails, and payment recovery options. By moving away from manual billing processes and switching to automated billing, your business is empowered with all the right tools needed to scale effectively.